I’m a late bloomer when it comes to surfing, but I’ve been meaning to try surfing for ages. 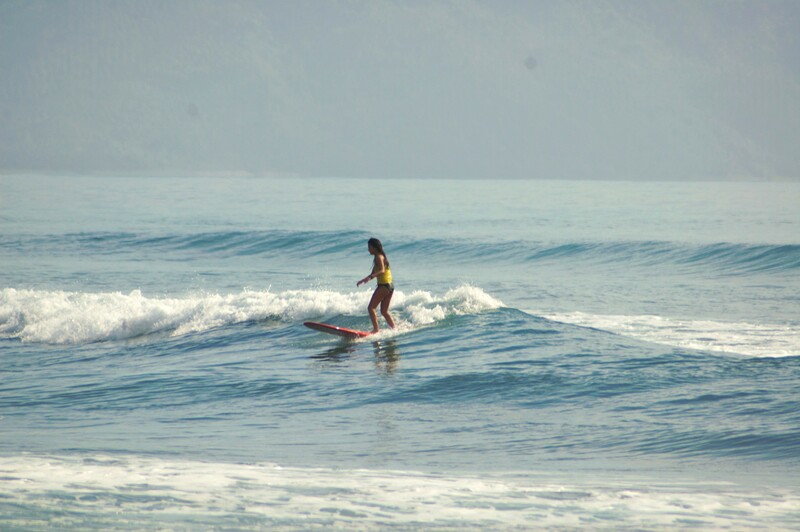 When I started learning how to surf and did my share of research, I stumbled upon Surfista Travels Philippines. Here are the top 10 reasons (because I could list a whole lot more) why for me, Surfista Travels is THE BEST! Surfista Travels makes sure that each trip has a touch of love and care! Aside from the surfing itself, each trip is filled with activities suited to maximize the trip where the group is in. For example, if the trip is in Baler, the group gets to visit the Oldest Balete Tree and the Mother Falls. If it’s in La Union, there are waterfalls called Tangadan Falls. There are mini-ice breaker activities per trip that will be conducted such as a kris-kringle which I experienced during the La Union Surf Trip I attended last December 2013. Elaine Abonal of Surfista Travels keeps everyone involved and excited, which I love. Island hopping with the Surfistas who went to Siargao! Every trip and group is PERSONALIZED, which makes every Surfista experience memorable! 2. They make sure of the QUALITY of everything. Surfista Travels works with surf schools that have certified instructors, resorts with quality service and amenities, and sponsors that provide products geared towards a safer surf environment. All these are important because the aim of Surfista Travels is to help groups of people to get to the best surf spots, surf resorts and surf schools while making it easy, convenient, and fun! Surfista Travels only works with the BEST. Here is pro surfer Luke Landrigan personally giving surfing basics to Surfistas. Elaine Abonal of Surfista Travels is based in Manila and has been surfing, traveling around the Philippines and bringing friends to different surf spots for the past 10 years. She is currently a brand ambassador for GoPro Philippines, Hurley Philippines, VMV Hypoallergenics Philippines, Breo, Lightwater, Vitaminboost, Nalgene Philippines, Sea To Summit Philippines, Zem Gear Philippines and Agos Pilipinas and has also recently received her First Aid Certification from Philippine First Aid. How’s that for being legit? 4. COMMUNICATION is the key for Surfista Travels. From pre to post surf trip, all you’d worry about is the #SEApanx and you’d be eager to join the next Surfista Trip. Elaine Abonal, the owner and founder of Surfista Travels, always makes sure that every detail of each trip is well-coordinated. Surfista Travels has a website and social media accounts where Elaine posts updates about trips, deadlines, merchandise and such. She also makes a point to send reminders via email and SMS to participants regarding the trip they signed up for. Elaine Abonal is known for and remembered by Surfistas as very organized and friendly – it’s as if you’ve known each other for a long time and are hanging out with an old friend. 5. It is WORTH EVERY PENNY! People from different parts of the Philippines and other countries book with Surfista Travels because the process is simple and is hassle free! Surfista Travels takes the on the “spirit of surf travel” and makes it just pure FUN and STRESS FREE for ALL participants – from finding a place to stay, transportation to and from the surf spot; Surfista Travels takes care of everything! No worries. Just join a Surfista trip and your main job is to HAVE FUN! 6. They’ve got PASSION: Commitment to the Environment. Elaine, through Surfista Travels, spreads her love of surfing. Surfista Travels is not just a surf tour company but it is also focused on the promotion of eco-surf / sustainable tourism . Surfista Travels has been an inspiration and a way for participants to reachout through activities such as Beach Cleanups to keep the environment safe and clean for both humans and mother nature. Surfista Travels makes sure that we never leave any of our trash whenever we go on surf spots. We also heave beach clean ups to teach Surfistas the importance of showing the locals that we care for and respect their beaches. 7. You’ll always be with GOOD COMPANY. Being part of Surfista Travels is more than just the surfing experience per se, but being around people who you would share the same stoked feeling –regardless of the skill level in surfing. You’d likely meet people from different walks of life but at the end of the trip, you’d find yourself with a bunch of new found bffs. 8. TRAVEL – what else!? Surfing here would need to take hours of travel time – so this would also feed you’re your craving to travel! 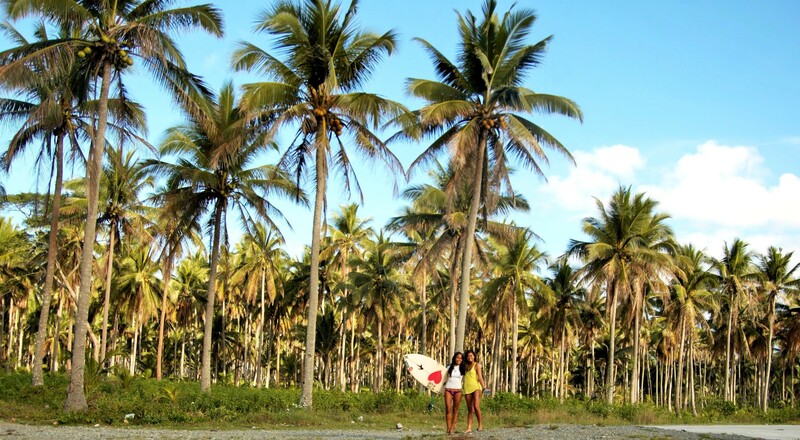 Surfista Travels offer different packages to different awesome surf spots such as La Union, Baler, and Siargao. Surfista Travels will surely bring you to the best surf spots at the right time for both beginners and intermediate surfers. From beginners to advanced surfers – such as this TV crew from Montreal Canada who did a TV show called OuiSurf – Surfista Travels can provide you the service and information you need – especially when it comes to surf travel. 9. Surfista Travels really live the SURFING LIFESTYLE. Unlike what other people think, surfing isn’t a cliquish sport. Since you spend time with people and met new people at the same time, in the long run it’s a very welcoming community – and Surfista Travels takes this into account. But surfing is not just about getting in the water and riding waves, but it’s about relationships with Surfista Participants, the locals, and the environment. 10. Last but not the least – SURFING! Of course! Why join Surfista Travels if surfing isn’t in the list? Add to it the stoked feeling after you ride your first wave. Oh! And those muscles you didn’t know existed? They will surely ache but it’s worth it! Sooner you’d be ripped in no time! Once you start have that first ride on a wave, it is feels awesome! And since every wave is different, you’d get addicted to it! Moi’s game face is ON! Learning how to surf with Surfista Travels is one of the best experiences you can give to your family, friends, and especially yourself. 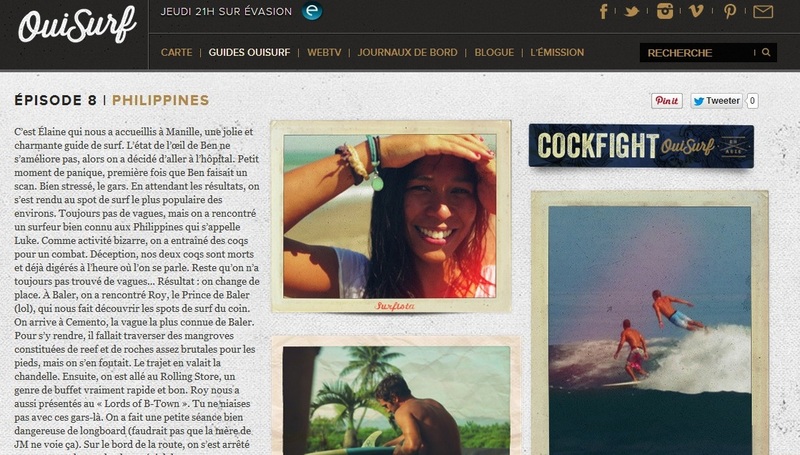 Remember when Elaine Abonal of Surfista Travels Philippines worked with French Canadian surf TV crew OUISURF.CA last October 2012 as a surf guide to help them out for their show? Well, it finally came out TODAY in Quebec, Canada and we were so amazed by the outcome. We didn’t get to watch the show here in the Philippines, but luckily, OuiSurf has some “extraits” or video snippets from the show of our experience together. Enjoy these videos whether you speak French or not. It was an amazing adventure and we hope to see them again! 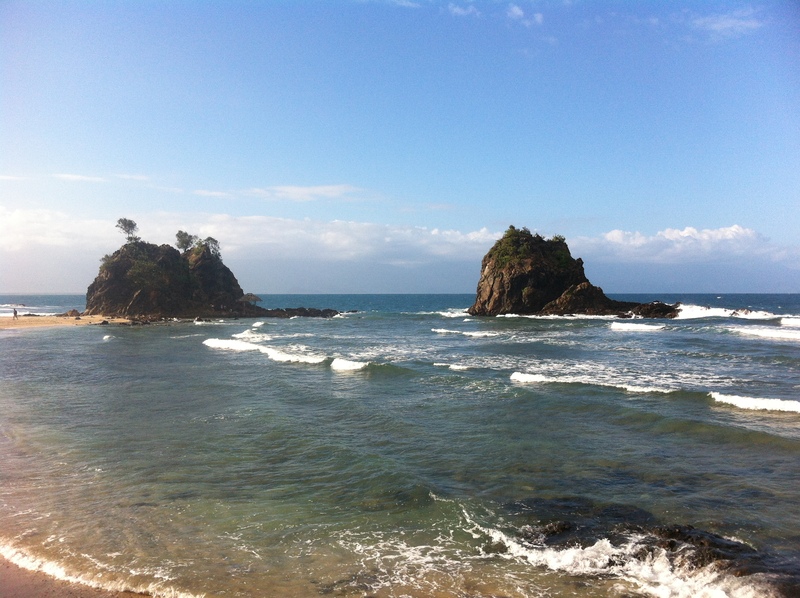 What did the first batch of Surfistas have to say about their trip to Baler?? Here are their comments!